Durlston Castle is an extraordinary Victorian building, which with funding from the Heritage Lottery Fund and many others, took 8 years to transform, to provide a unique and beautiful facility for visitors to Durlston and the Jurassic Coast World Heritage Site. 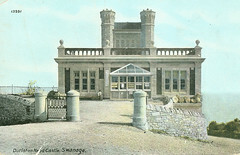 The Castle is now the hub of the activities at Durlston. This restored building, completed in November 2011 is a must for all, not just for the amazing restoration that has taken place, but it is also the Visitor Centre, offering a wide range of exciting interactive displays and exhibitions. Also within the building is the seventhwave cafe and restaurant, a shop, Gallery with different exhibitions every month, plus spectacular views from the Belvedere and roof terraces. 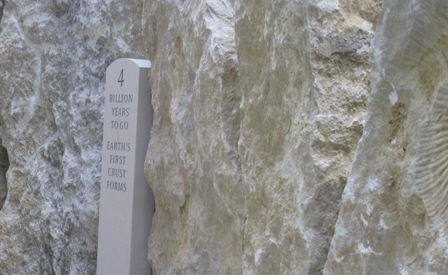 Wandering around the Castle you will also come across artwork including the Timeline (4 billion years of earths history), Diversity (the species of Durlston engraved on glass) and the Walk of Words (200 sponsored engraved Purbeck limestone blocks). Despite being on four levels the Castle is easily accessible for all, with lifts and gentle ramps for those with less mobility. We also have an intercom system and a Tramper electric buggy to help you around the site. A Ranger is always on hand to help you get the most of your visit. Parts of the Castle are occasionally closed when weddings or functions are taking place - visit the Events page for details. From the Castle our four waymarked trails start and finish. 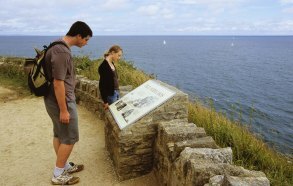 Each with its own trail guide, they provide an ideal introduction to Durlston, whether you want to explore the clifftops, woodland, wildlife or the Victorian heritage via a longer circular stroll to Swanage and back. The Durlston Shop is full of books, souvenirs of your visit, items of interest, gifts, birdfood, plus a good selection binoculars and artwork. We also sell essential rations including chocolate, ice creams and cold drinks. The Fine Foundation Gallery, sponsored by the Fine Family Foundation, is a key hub of the new building, offering a varied programme of art exhibitions, live music and performance and interactive displays. 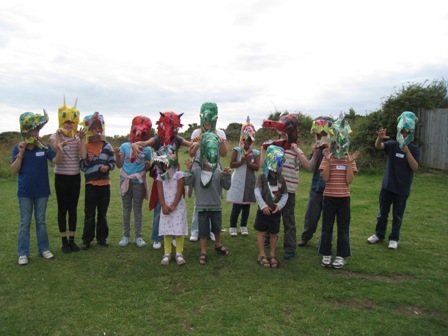 A partnership with Dorsets rural arts organisation Artsreach, has helped in the development of a varied new programme of events. Highlights so far include live music from internationally acclaimed Senegalese Kora maestro Doudou Cissoko, an incredible knitted community garden by artist Pauline Stanley, 'Sea Fire and Ice' paintings by Antonia Phillips, 'Light, Life and Landscape' by Bruce Pearson and Anne Shingleton, the Churchfitters and much more! Our exhibitions have included local Dorset and Purbeck artists as part of Dorset and Purbecks Art Weeks, The Boilerhouse Collective and the Purbeck Collective. Wildlife artists Bruce Pearson, Richard Tratt and Antonia Phillips amongst others. For more information on upcoming Events or download our Events Guide. The arts have been right at the heart of the project from the very beginning, with support and funding from the Fine Family Foundation, the Arts Council and others, new permanent works by artists including Gary Breeze, Lulu Quinn and Forkbeard Fantasy can be found in and around the Castle, while poets Carol Ann Duffy and Paul Hyland have also contributed work. The new Timeline serpentine path that winds its way gently down from the car park to the Castle takes you on a journey through time, via stone monoliths and inscriptions carved and designed by artist Gary Breeze. Once at the Castle visit the cafe to be amazed by 'Diversity', a glass etched artwork by Lulu Quinn. This extraordinary species list shows the diversity of life at Durlston, but is incomplete as more species are being discovered each year. What was Durlston Castle previously? Durlston was owned and farmed by various farmers and landowners but, in 1863, George Burt purchased a significant part of Durlston and a new era began. 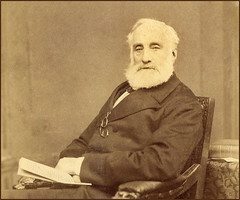 George Burt was born in 1816, and worked locally as a stone mason before moving to London, at the age of 19, to work for his uncle John Mowlem. Using his wealth, Burt played a major part in the plans to transform Swanage from an 'old world village' to a fashionable seaside spa. It was not until George Burt retired in 1886, that he turned his energies to developing further his estate with the newly commissioned Durlston Head Castle as its centrepiece. The Castle was constructed by a local builder, William Masters Hardy, and despite its traditional appearance, an iron frame lies behind its stone cladding. The Castle has always been used as a restaurant of sorts but, in 1890, the upper floor was used briefly as a signal station by Lloyds of London. George Burt's plans for his estate were not entirely altruistic. Various plans were laid for a major residential development at Durlston and 88 plots of freehold building land were offered in 1891. Such schemes continued well into the 1920s but met with little success. The arrival of the railway in Swanage in 1885, and later transport developments including a steady growth in car ownership, saw Durlston becoming increasingly accessible to visitors. 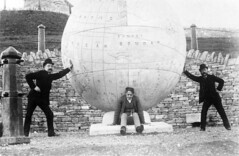 The sea views, Tilly Whim Caves, Durlston Castle and Great Globe were then, as now, major attractions.